APPROVED PLAN by ALLEN COUNTY DRAINAGE BOARD HERE: Construction Plans for Lamont Drain & Bandelier Ditch #3 The purpose of project is to preserve and improve over 1,200 linear feet of drains that lie within Sixmile Creek subwatershed. • Partnership with land owners and land managers, 130 different volunteers logged over 876 hours at this site! ALTERING: Removing Walter and Pam Werling from current PLAN HERE. 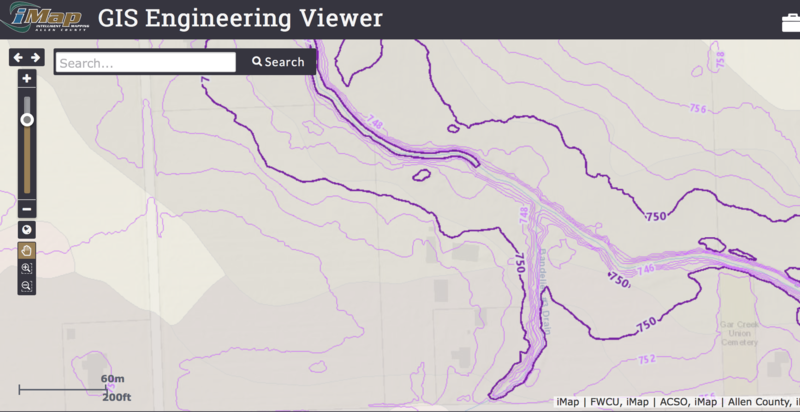 Property Boundaries & Approval by: Jon & Kelly K.
OLD: Drainage Board Construction Plan Lamont Drain being altered due to Big Agriculture practices by WALTER and PAM WERLING, with land owned by Son and Daughter-in-Law in Colorado. 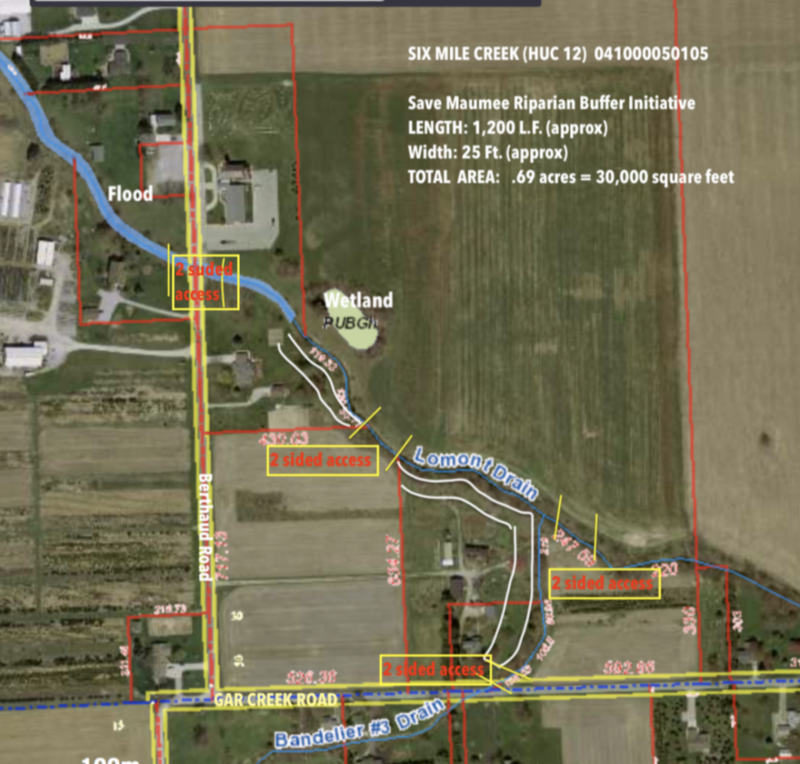 This was the ideal water management area, but Walter & Pam Werling remove ALL trees on their property. 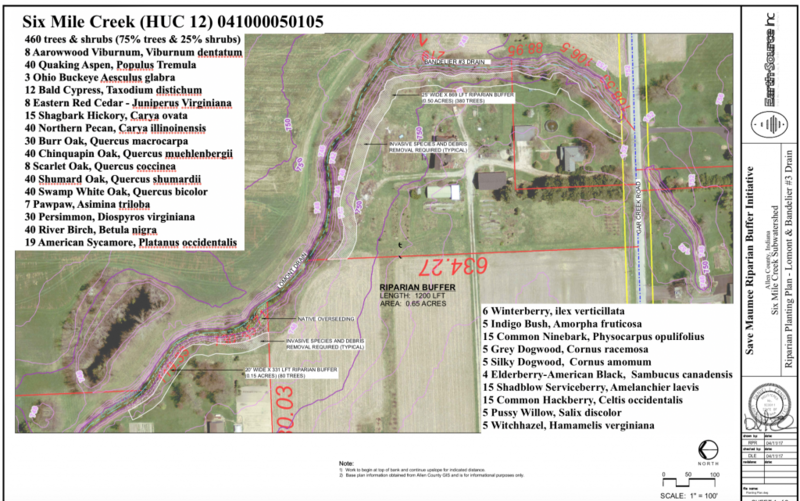 Surrounding landowners are aware of the project and are supportive of Save Maumee Riparian Buffer Initiative Project #6 in Sixmile Creek along the corner of Bandelier #3 Drain.